Born and raised in Belgrade, Serbia and playing basketball since the age of 12, Nikola (Nik) Bundalo decided to pursue higher education in the United States by attending Southern Illinois Edwardsville (SIUE) on a full athletic scholarship. Driven by the desire to advance both academically and athletically, Nik joined SIUE in the fall of 2007 and competed on the basketball team for four years. During that time, SIUE’s athletic program was transitioning from NCAA Division II to NCAA Division I. Nik was very honored and privileged to have been a member of the first-ever SIUE NCAA Division I Men’s Basketball Team that laid the foundation for the new era at the University. Nik successfully completed his bachelor’s degree in finance in 2011. After a solid basketball career at SIUE where Nik finished 19th on SIUE's all-time scoring list, 8th on the all-time rebounding list, and 3rd on the all-time blocks list, Nik contemplated continuing his basketball career at a professional level in Europe in 2011. However, Nik was presented with the opportunity to attend SIUE for a fully-funded graduate program in economics and finance. 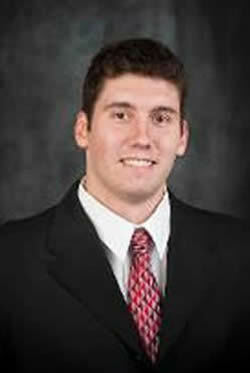 Nik decided to pursue further academic advancement and permanently retire from basketball in 2011. After receiving a master’s degree in economics and finance in 2012, Nik started a career in commercial banking. In addition to a full-time banking position, Nik started teaching finance courses at SIUE in 2016. Ever since, Nik has been teaching principles of finance and real estate finance courses for SIUE undergraduate students. In 2018, Nik expanded his teaching portfolio by teaching a graduate level fixed income securities course at St. Louis University. He has been consulting Nomos since 2012 on international basketball and prospective student-athletes, as well as capital investment and real estate projects.